I prefer the secret place to the stage. If I had a choice, I would just stay there. Just me, God, Jesus, and the Holy Spirit. Just a word of encouragement for someone. Do not be discouraged by the enemy. You are getting closer and closer to where The Lord wants you to be. I also just want to encourage someone to spend more time in the secret place. The secret place is far more better than the stage. If you do not have a relationship with God, then what are you demonstrating? Many entertain but few worship. The reward of the Father is far better than the reward of man. 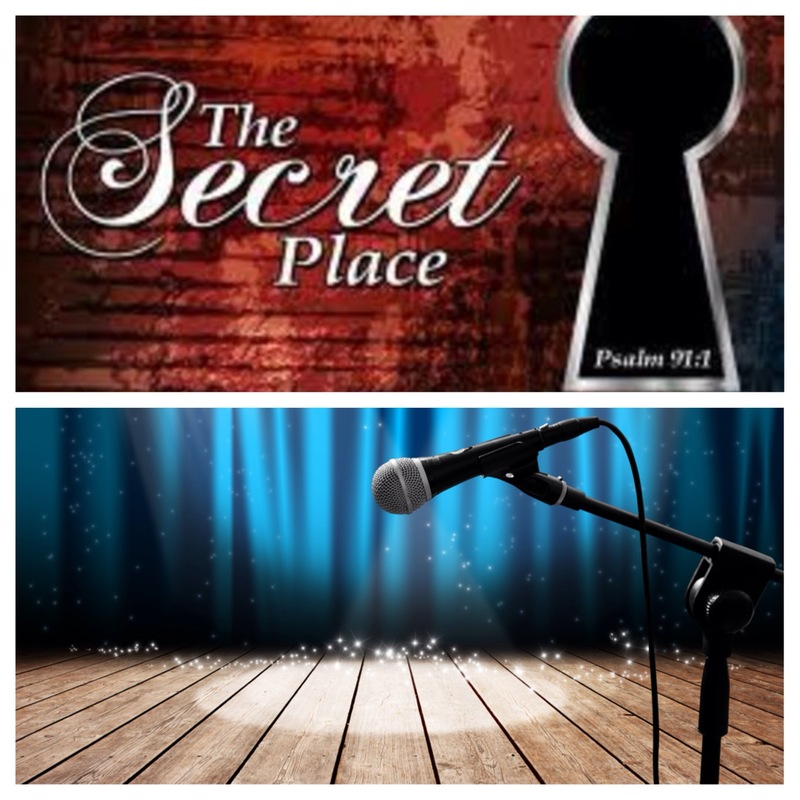 Seek God first in the secret place, before the stage. If I had a choice the secret place is where I would always be, honestly. Worship God when nobody even notices you, and watch Him elevate you! Who God blesses no man can curse! No one can take His anointing away from you. Keep your eyes fixed on God. Be who Christ called you to be. No matter how difficult that might be for others to grasp, just be bold and keep looking to Him. Seek God before the stage. Many entertain, but few WORSHIP. In 2015 be that true worshipper. Remember what’s important is what God sees. Don’t focus on trying to make others see. Look to The One that has predestined your future. Many are going to receive more of His fire in the secret place. Wait in the secret place. He prepares you for the world, not to glorify self but to glorify God. When you spend time in the secret place, God prepares, teaches trains you to become a true worshipper, a great leader. In the secret place God will always call you out. God will call you beyond. Why do you think He said many are called, but few are chosen? It’s because few spend time in the secret place, in The Word, in worship. His Spirit, is your truth, is your revelation. Be chosen by God, it’s a privilege, and honour to worship Him. Seek Him first before the stage. Eternity comes from the time you spend with God. Eternity does not come from the time you spend with the world. But God wants you to reach the world. But you cannot reach the world without God. So you are going to have to reach Him in the secret place first. When I began this amazing journey with God I started in the secret place. It’s the best place to start I have learnt a lot. That’s why it’s best to know The One worth knowing. If you know Jesus, you’ll discover yourself. In the secret place there is revelation. In 2015 there must be more revelations for you in Jesus Name. In the secret place God strengthens you. Your secret is your strength. Jehovah hides you under the Rock. In the secret place He empowers you. The church, the body of Christ as a whole needs to get back to the secret place. It really isn’t all about the stage. Neither is it all about entertainment, such things are temporal. We are looking to God, to eternity. It’s not just about making others feel good. No it’s more than that. It’s about reaching hearts with The Word of Truth. The secret place will work on your heart. He heals, He mends, He restores. The secret place is like an operation room. He operates on you and removes everything that is not of Him. In the secret place it’s just you, God, Jesus, and The Holy Spirit. There’s no room for distractions. In the secret place many will not see. The secret place will testify of Him to many. The secret place is a place of humility. Many people will begin to see a change within you, and many will feel uncomfortable with that. So they will talk, discourage, even question. It will happen, and know that you are not the first person for it to happen to.You are bound to face opposition when you seek The Face of God. But that opposition can never bring you down. You only need to look at the lives of David, and Moses to realise that. In the secret place God rewards you. The best reward is always from God. No matter what Do Not Give Up. Don’t allow the enemy to lie to you! God is The Lion of Judah, He can never lie to you! He has promised that He will never fail. Finally, the secret place is the place of waiting upon The Lord. When we wait upon The Lord we are sensitive to His leading. We go when He says go, and we stay when He says stay. We do not lean on our own understanding, neither do we compare ourselves to others. We look to God in anything and everything, and we seek His approval first and foremost. In the secret place He causes us to understand that He is the Heart of worship. Where it’s not about us, but it’s all about Him. I pray that you will get back to the secret place. I pray that you will seek God in the secret place, and not the world for the stage but Christ for the world. It’s not about trying to save people with the stage, but to reach people with God, He saves. Too much entertainment in the church and not enough worship. The body of Christ must get it right. If only more Christians loved each other with prayer, and not with backbiting, jealousy, then a lot more would be done in The Kingdom. Too much criticism in the body of Christ not enough prayer. Our strength comes from prayer, and from praying from one another. Not from discouraging each other. Be wise, tame your tongue. Do not kill and destroy someone with your tongue. Once something is dead that’s it, it cannot be brought back to life. Be careful, be wise with your words. Love me with prayer, else do not speak. Constructive criticism is not always constructive if it’s coming from the flesh. In everything be led by the spirit. Love me with prayer, with words from God, with encouragement. If it’s bringing you down instead of building you up then it is not of God. God bless you, and God forgive me if I have ever hurt anyone with my words. Help me to love everyone with prayer. A genuine love in the body of Christ that is what is needed. No more tearing down with our words, but more building up in The Kingdom.